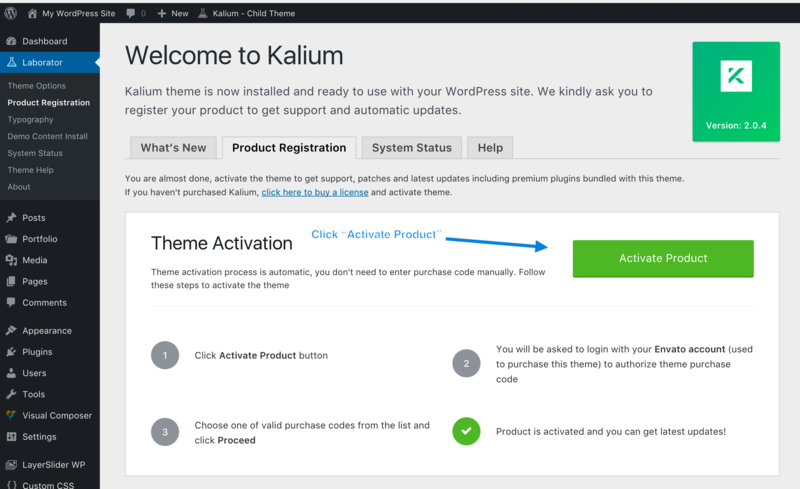 Activating Kalium theme is an automated process, you don’t need to copy any purchase code, simply connect your Envato account with our API server and the rest is handled by us. The term “activating theme” means connecting to our API server and validating your purchase code for the theme. This way you will be able to get latest updates for the theme and bundled premium plugins. 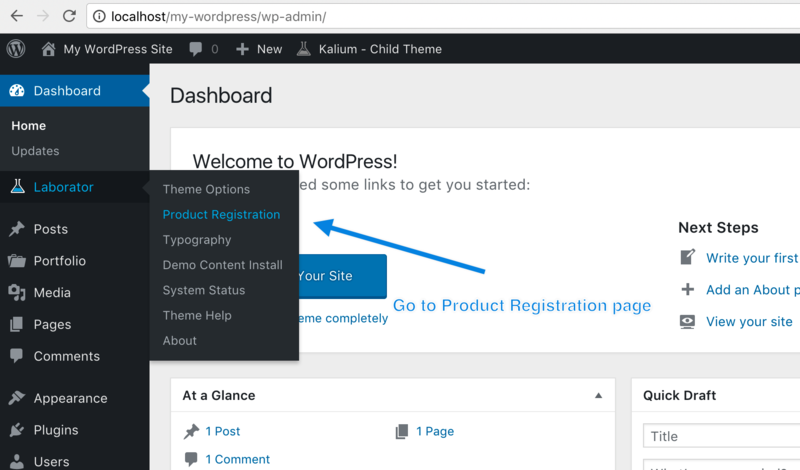 Regardless whether you are using parent theme or child theme, once you activate the theme it is valid for both theme types. 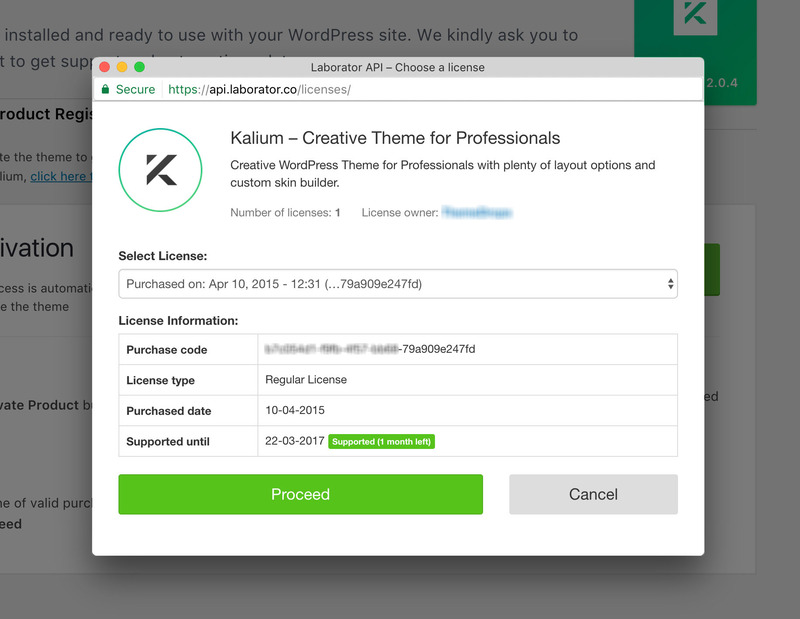 Before activating the theme, make sure you have read theme licensing article and after that proceed with the steps below. 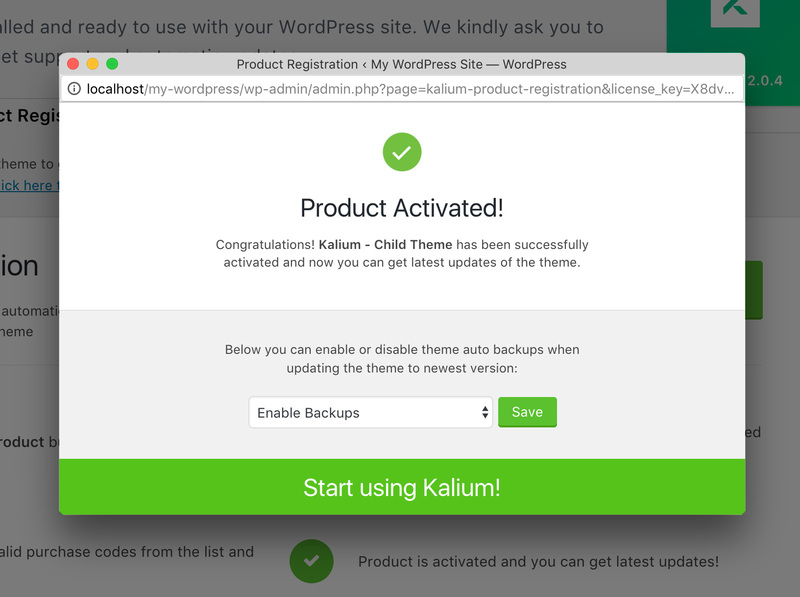 We also suggest you watch the video tutorial on showing how you can activate Kalium theme. Note: One purchase code can only be activated for one domain. Click here to learn more about this. If you have purchased more than one license please select your license from the dropdown as on the image below. That’s it! 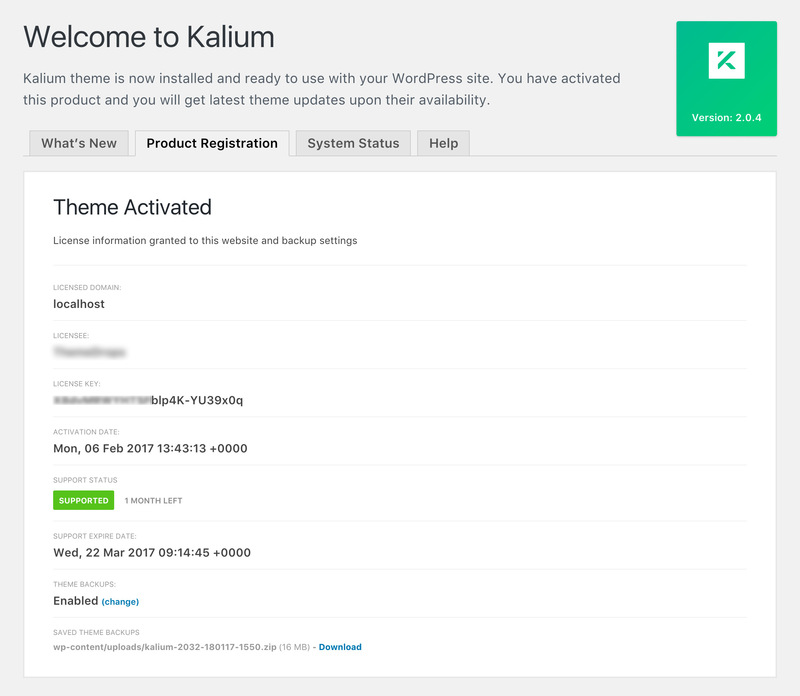 Kalium is active and you are eligible for automatic theme updates, premium plugins updates, and theme backups. 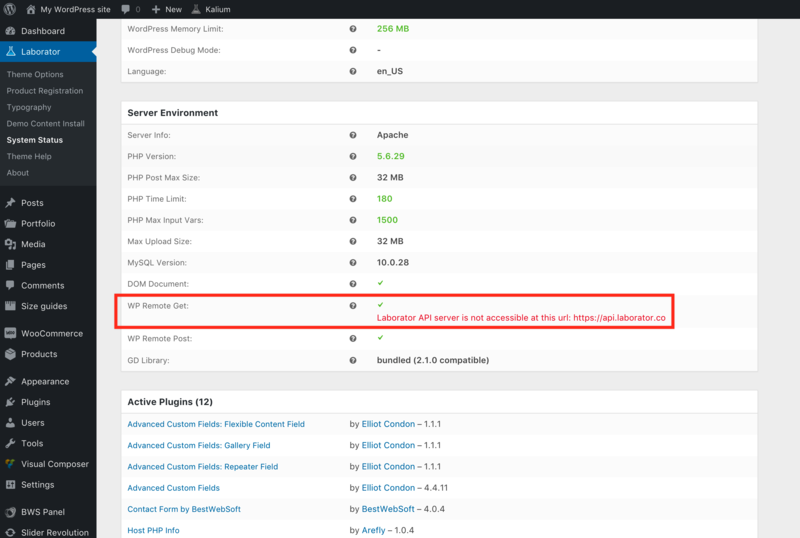 Cannot activate the theme or install theme plugins? 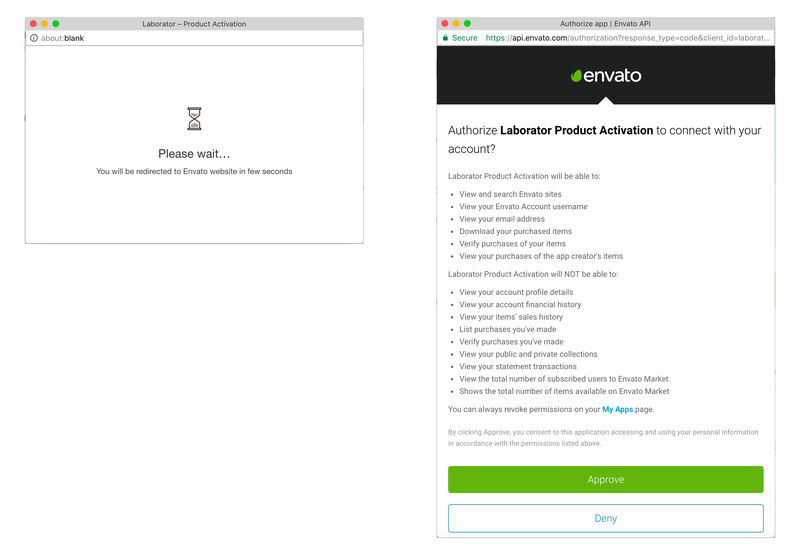 It happens that sometimes theme activation is not possible, this is caused either by cURL Firewall or Envato API outage and doesn’t allow our server to retrieve your information from Envato. Otherwise, we suggest you submit a ticket in our support forum and let us know about any other issue with theme activation.